Home » Learning Center » What if you are Bitten, Scratched or may Have had Contact With a bat? What if you are Bitten, Scratched or may Have had Contact With a bat? Bats are not normally aggressive animals. However, caution should be used to avoid direct contact, even with apparently healthy bats. 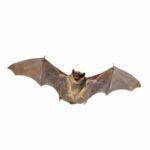 Unusual behavior, such as a bat fluttering on the floor, or a bat flying in midday, is reason for particular care to avoid all human or animal contact with the bat. 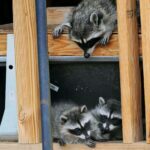 In recent years, bat associated strains of rabies have been the causative agent for the majority of the few human rabies cases in the United States. 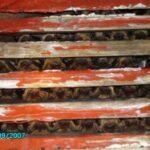 In some of these cases, rabies transmission occurred even after apparently limited contact with a bat. 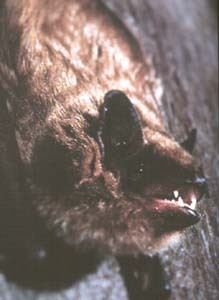 Because bat bites may be less severe, heal rapidly, and therefore, be more difficult to find or recognize than bites inflicted by larger mammals, rabies post exposure treatment should be considered for any physical contact with bats when bites, scratches, or mucous membrane contact with saliva cannot be excluded. If you are bitten, or scratched or the possibility of contact can not be excluded, try to confine or kill the bat without damage to its head, to prevent additional exposures. Immediately cleanse the wound thoroughly with soap and water, and seek prompt medical attention from a physician or hospital emergency room. Report the bite or other exposure to your local health department as soon as possible. Using heavy protective gloves, tongs, or a shovel, place the bat in a coffee can or other securely covered container and arrange with your local health department. If your dog or cat is exposed to a bat, follow similar procedures in capturing the bat and contacting your local health department to report the incident and arrange for the testing of the bat. The greatest preventive measure is to have your dog or cat vaccinated against rabies before any exposure to a rabid animal. White-nose syndrome (WNS) in the northeastern United States has caused unprecedented mortality of six species of cave bats, which are bats that hibernate in caves and mines in the winter months. The disease was first documented in New York State during the winter of 2006, and quickly spread to Vermont, Massachusetts and Connecticut. 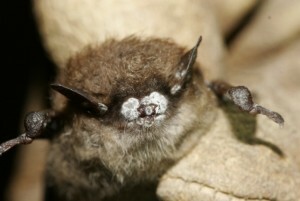 WNS is associated with a newly identified fungus that invades the skin and breaks down the tissue in hibernating bats. In Vermont, populations of cave bats have declined dramatically since the disease was first observed in the state. In particular, populations of Vermont’s two most common bat species – the little brown bat and the northern long-eared bat (northern myotis) – have declined over 90% in three years.